IntegraCrete provides advantages for concrete used for industrial, commercial, and transportation applications that require enhanced strength and durability as well as decreased shrinkage. 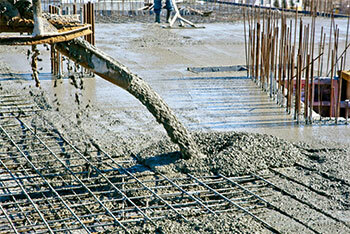 Major structures such as buildings and roads place special demands on concrete as a construction material. They require concrete that displays strength, elasticity, flowability, compressive strength, and good resistance to wear and long life. IntegraCrete can be used to not only achieve these properties but can also improve these properties while reducing the final cost of the concrete used. It can deliver the ultimate value proposition – improved performance at a lower cost. 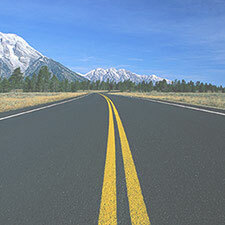 IntegraCrete provides advantages for concrete used for industrial, commercial, and transportation applications that require enhanced strength and durability as well as decreased shrinkage. 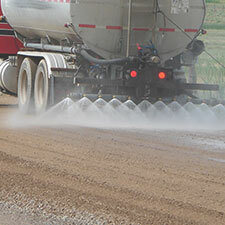 It can also significantly extend the life of standard concrete. IntegraCrete is a natural enzyme solution and is simply added in small doses to the headwater during batching, providing consistent quality and through-hardening of the concrete mix. IntegraCrete reacts with the organic material in the water, sand and gravel of the mix to deliver all of these important benefits. 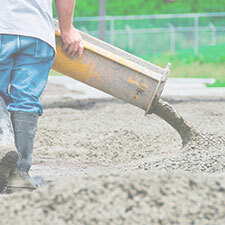 IntegraCrete is a 100% natural concrete additive that increases compressive strength and virtually eliminates shrinkage of concrete mixtures, also allowing for the reduction of portland cement content of up to 20% in the final concrete mix. IntegraCrete is engineered to provide concrete with superior hardness and improved durability for demanding construction projects. IntegraCrete is unique in its ability to both increase the strength of the mix as well as decrease shrinkage without having to use 2 (should we say multiple) different products. With strength increases up to 300%, IntegraCrete is also the only product available that can reduce the amount of Portland cement content without compromising the integrity of the mix. Another benefit of the IntegraCrete additive is the shortened construction timeline resulting from accelerated cure times. IntegraCrete acts as a superplacticizer, enabling builders to achieve 3-day strength in 1 day and 7-day strength in 3 days. This enables the building of more concrete structures in a shorter amount of time, leading to huge cost advantages. IntegraCrete is available in 55 gallon drums (208 liter), 275 gallon totes (1040 liters) and bulk delivery.